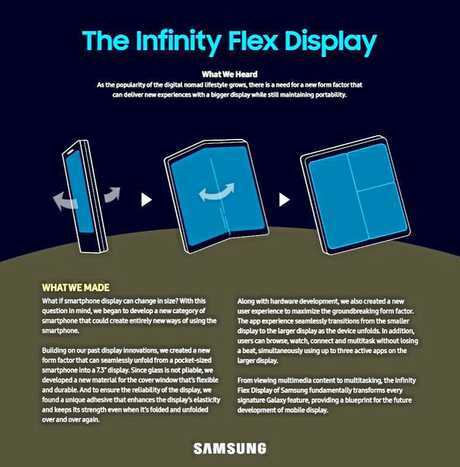 SAMSUNG has released new specifications about the hotly-talked about Infinity Flex foldable phone, hours after the tech giant announced the biggest form-changer in a decade could be in consumers's hands within months. 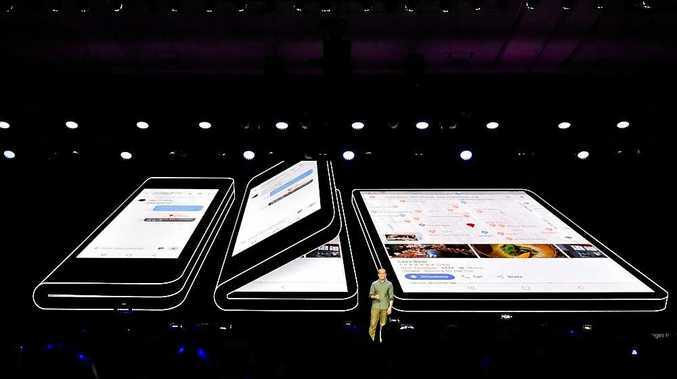 Since the the world's leading smart phone maker confirmed it would have the flexi-form smart phone on the shelves early next year, developers and consumers have been itching to pick up any morsel about the ground-breaking device. 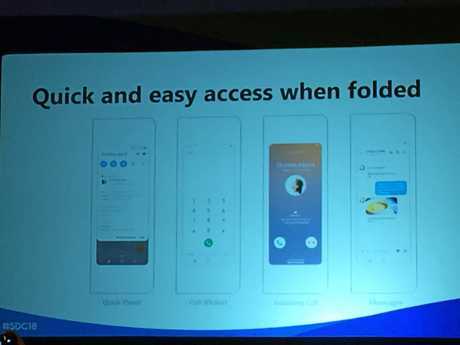 While it sounds like engineers are still ironing out some of the technical kinks, the user experience is fairly firmly set, Samsung was happy to confirm at the Samsung Developer Conference in San Francisco to a small audience of developers. 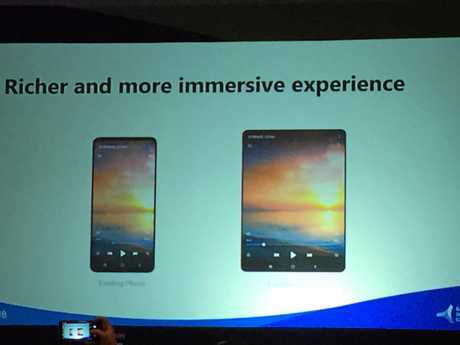 The outer screen, which Samsung is complicatedly calling the "cover display" will work exactly like a standard smart phone will a "fully-fleshed" display. 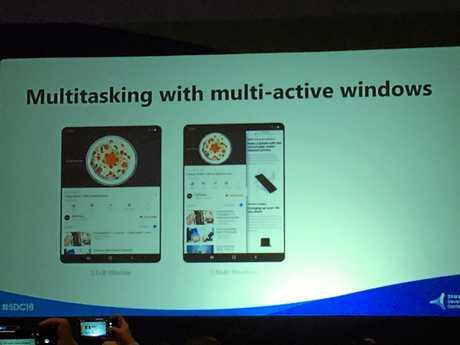 It will be portable just like a smartphone and at a little smaller than the standard at 4.5inches, it aims for quick access and easy interaction. When the phone is opened (in the same direction you would a book) the experience shifts from the "cover display" to the "main display". 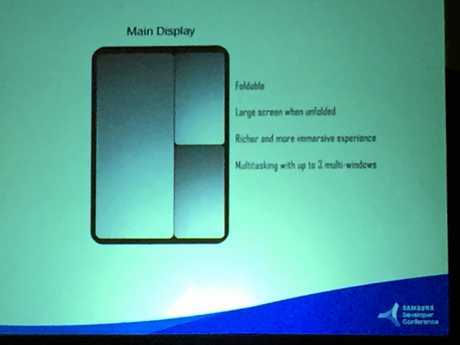 In Samsung's words the "main display" is a richer and more immersive experience. Broken down - you are actually getting almost double the screen real estate at 7.3 inches, and the option to run three apps simultaneously side by side, like separate windows. The literal jump from the cover display when you open to the main display is intended to be seamless - so that the user can continue what they're doing once they've unfolded. 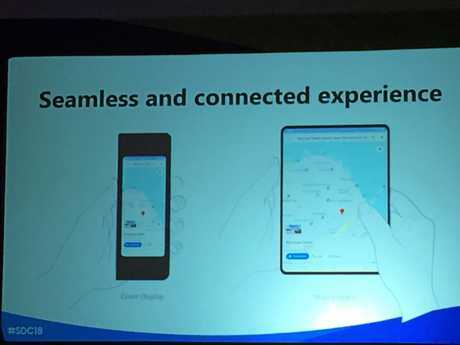 For example if you are using a navigator map on the cover display to find directions, when you flip the phone open, the same place in the map will show up on the main display inside without interruption, but with a larger surface area to include more of the map. Once on the "main display" the extra windows can be activated. According to Samsung Mobile Engineering Director Jisun Park, the bend where the phone was closed shut, is expected to be polished in design. Where the camera will be placed on the phone was still in the works, according to Mr Park. Samsung Mobile Engineering Director Jisun Park said the price was not determined yet, but that it would be "as appropriate as possible." The aim is to keep the battery life the same as the Galaxy. Frances Klein is a guest of Samsung at the Samsung Developer Conference.